Island Solar Post Caps Solar Post Caps eliminate the hassles of wiring or electricity. Perfect for entertaining areas that require light in the evenings or to simply showcase your deck. Note:In some cases post caps inside edges might require a little bit of filing, depending on the location, heat and other aspects. The Island style LED post caps present both style and grace for your deck. Solar Post Caps eliminate the hassles of wiring or electricity. Perfect for entertaining areas that require light in the evenings or to simply showcase your deck. 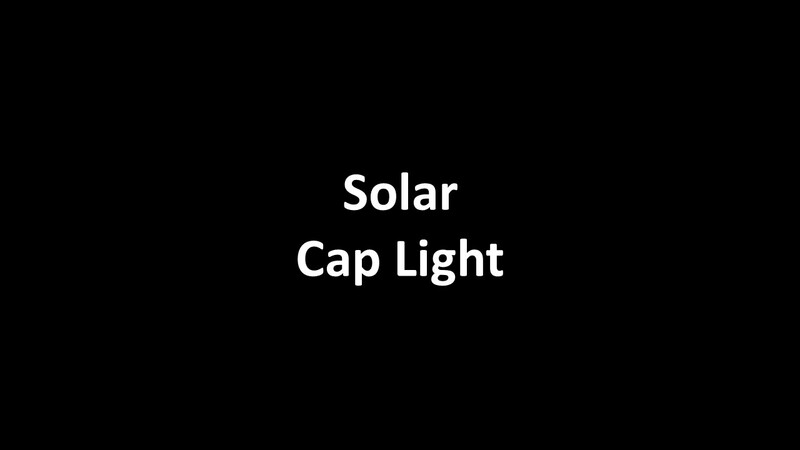 The Island solar caps light up your deck at night, and by day the Designer Solar Post Caps add beauty with the attractive finish of your choice. 3 5/8" (For 4" Wood Posts), 4" (For 4" PVC Posts), 4-1/2" (Designer Colors Only), 5", 5-5/8", 6"
Fit our TREX railing system and post sleeves perfectly! We installed these on our new deck a couple of weeks ago. They were easy to install and fit perfectly over the Trex Transcend post sleeves. Customer service at the Deck Store was helpful at answering my questions and they arrived 3 days early! Would definitely recommend this product. After looking in stores and online I finally found the Solar Post Caps that would fit my Trex columns. The color matched my Rope Swing Color and I'm very happy with the product. The price was reasonable and the product looks Great !!! Very happy customer. Thank You !! Love these solar caps. They really enhance the deck and fence. When we had our Trex deck installed the only option we were given was to have posts wired for some kind of illumination. We didn’t want this type of expense so I went surfing on the internet and discovered The Deck Store and they sold solar post caps that fit beautifully on the Trex posts. Couldn’t be happier!! I researched a lot of lights before purchasing these. Sure there are many out there for 1/2 of the price or less but when you read the customer reviews they don't work when you get them. We wanted these for our new deck and I was price conscience but I also wanted my money's worth too. These come with a 5 year warranty in writing from the manufacturer and they are made in the USA. Not only do they all work (12) but they were fully charged when we got them. I installed them around 4-5 pm that day and each one was still lit in the am until the sun came up. A lot of sites tell you it may take 3-4 days before the batteries are charged enough to power them thru the night but these were ready to go from day 1. I highly recommend these and the Deck Store to anyone...... by the way I had questions on the lights I was looking at and the Deck Store is the only one that took the time to answer my e-mails.